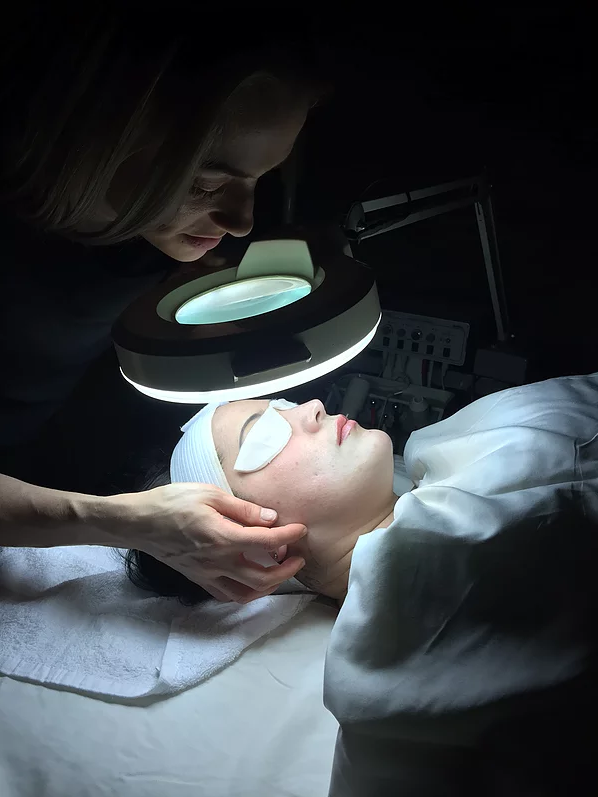 Here at Fitness Results, we offer a variety of facial services such as microdermabrasions and chemical peels, all of which are provided by our licensed aestheticians. Stop by Fitness Results for a skin consultation and analysis to determine your best treatment option so you can achieve your best fitness results. Double-cleanse, steam, exfoliation, extractions, facial massage, mask, moisturize, hand and arm massage. This facial works to clear blocked pores, minimize pore size and calm inflamed acne. Double-cleanse, steam, professional strength exfoliation, extractions, facial massage, mask, moisturize, hand & arm massage. This facial emphasizes exfoliation to speed cell turnover to reveal radiant younger looking skin. With continued treatments, the look of fine lines and wrinkles will be minimized, skin hydration will increase, and firmness and elasticity will improve. Double-cleanse, steam, exfoliation, extractions, facial massage, mask, moisturize, hand and arm massage. This facial works to correct hyperpigmentation caused by sun damage. This facial is also great for those who seeking a brighter more radiant complexion. This peel is perfect for those with dry, sensitive skin or those new to chemical peels. Skin will immediately be smoother, brighter, and more hydrated. A bi-weekly series will produce the best results. This peel is ideal for acneic clients, or those suffering from congested pores such as blackheads and whitehead. This peel is ideal for dull, aging skin with sun damage. By rapidly exfoliating epidermal cells, it instantly unclogs pores, smoothes texture and significantly fades pigmentation. Light peeling for 4-7 days is expected. This peel is only for experienced peelers. Consultation and prior peel, performed by myself, are required before booking the Jessner peel. This peel provides the deepest exfoliation through a blend of AHA’s and BHA’s. Dramatically improves scars, acne, hyperpigmentation, fine lines and wrinkles. Peeling is expected for 7 days.